"Thanks for reaching out," Soren wrote to an AppleInsider reader in response to an email question about Touch Bar support, and whether Apple is even still planning to continue Logic development. "I'd like to assure you that we are fully committed to Logic Pro X, and we will be bringing Touch Bar support to Logic by early next year." 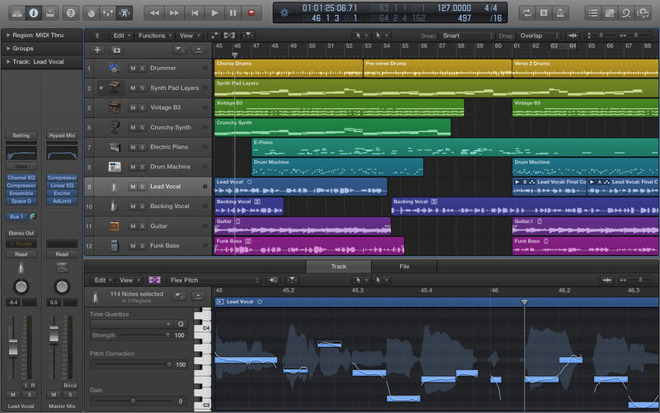 Rumors have suggested that Logic Pro would be getting Touch Bar support in early 2017, but the email appears to be the first official word from Apple. When Apple demonstrated the MacBook Pro on Oct. 27, it showed first-party apps like GarageBand and Final Cut Pro X utilizing the Touch Bar, but made no mention of Logic, despite it being an obvious potential use case. The Touch Bar is a multitouch display replacing the function keys on a Mac with context-sensitive controls. While these might normally just provide single-tap options, support for things like sliders and thumbnail browsers could simplify audio production work. Apple has gradually veered away from supporting the professional segment. The Mac Pro, for instance, was last updated in 2013, and a year later it discontinued its photo workflow software, Aperture, effectively handing that market over to Adobe's Lightroom.